Ghostbusters and Ghostbusters II are coming to the new UHD Blu-ray format on June 7th! And immediately, I know the overwhelming majority of people who heard this news are saying, "Wait, what does that mean exactly?" That press release sure says a lot of fancy things, but I'm not entirely sure how this is different from the version that I just bought of the movie that was "Mastered in 4K?" UHD? Wha? How is that different from regular Blu-ray? If you have an Ultra-HD/4K television set as well as one of the new UHD Blu-ray players, this release is for you. If you have an "older" television set... a 1080p or 2K resolution set and/or your primary Blu-ray player wasn't purchased in the last year, or is an Xbox One or Playstation 4, then this release is NOT for you. Think of it this way, UHD is another run from the studios at trying to entice people back into the physical media format much like 3D was. If you didn't have a 3D compatible TV and Blu-ray player, you weren't able to play back those discs. This is the same issue, if you don't have UHD compatible devices, you won't be able to play these discs back. You'll need a UHD specific player to playback, and it needs to detect a 4K TV on the other end of that HDMI cable. Otherwise, no bueno. Here's a good resource as to what 4K is compared to "old school" high definition c/o Trusted Reviews. Take a look at your Blu-ray player. Does it have this logo on it? Yes? Do you have a 4K TV? Then you're good. Do you not know what either of those mean? You're probably not ready for these quite yet. It's okay, a lot of folks aren't quite ready for this yet either. But wait, I quite literally just bought a Blu-ray last year that said it was "Mastered in 4K" - why would I need this on top of having to buy a new TV and Blu-ray player? That's a great question. Essentially what it boils down to is that disc you bought last year, the one with the blue cover to the left, was "Mastered in 4K and Optimized for 4K Sets" but was still only 1080p presented on a lower capacity Blu-ray. Meaning you aren't getting the same dynamic range and resolution that you would be getting on the new UHD. Here's where it gets really confusing for the casual consumer. The release from last year was created from 4K source elements that created the most recent Blu-ray release from a previously existing scan of the negative. Think of it this way, when Ghostbusters first came out on Blu-ray, they created a high-resolution source of the movie, then compressed it down for the Blu-ray format. Then they double-dipped and released this "Optimized" version with a new color pass and range that was specific to 4K TVs, but still only displaying a 1920x1080 resolution. If you remember, this particular disc didn't include any special features, so that they didn't have to compress the movie itself as much and a higher bit rate was allowed for playback through your regular Blu-ray player. Troy, you're confusing me more - seriously - how is this different? Simply, the UHD 4K release announced today takes the same scan done for the "Mastered for 4K" release and presents it at its full potential. Thanks to Tyler Foster at DVDTalk, the 35mm scans already occurred as far back as 2013 (per this Hollywood Reporter article), so the press release is a little misleading. Per their press release: "As two of the first Sony 4K Ultra HD disc releases, both films were fully restored from the 35mm original camera negatives, thereby utilizing in 4K the full resolution, detail and color depth inherent in the film. 4K Ultra HD is the perfect way to finally experience these comprehensive restorations at full 4K resolution in the home – it features four times the resolution of high definition, along with High Dynamic Range (HDR), which produces brilliant highlights, vibrant colors and greater contrast on compatible displays. Additionally, both films have been remixed specifically for the home theater environment with Dolby Atmos® audio, delivering captivating sound that places and moves audio anywhere in the room, including overhead." It's a full resolution 4K picture and new mix of the movie so it'll look and sound different than the one you have now. Why would they have done this? This is just me speculating so take this with a grain of salt but I'm guessing that, in addition to wanting you to buy one last disc format before we go completely "tapeless" this is also an effort to restore the movie so that Sony has masters that can be screened in theaters using the latest digital projection and Dolby Atmos sound. Think of all the midnight screenings and Halloween screenings where you've seen a really lousy film print that's scratched and dirty and all-around ugly looking. My guess is that this is an attempt to preserve the film in its best possible format knowing that the evergreen property is about to receive a resurgence with the new 2016 film. Say, how can I learn more? Here's the full press release, enjoy! 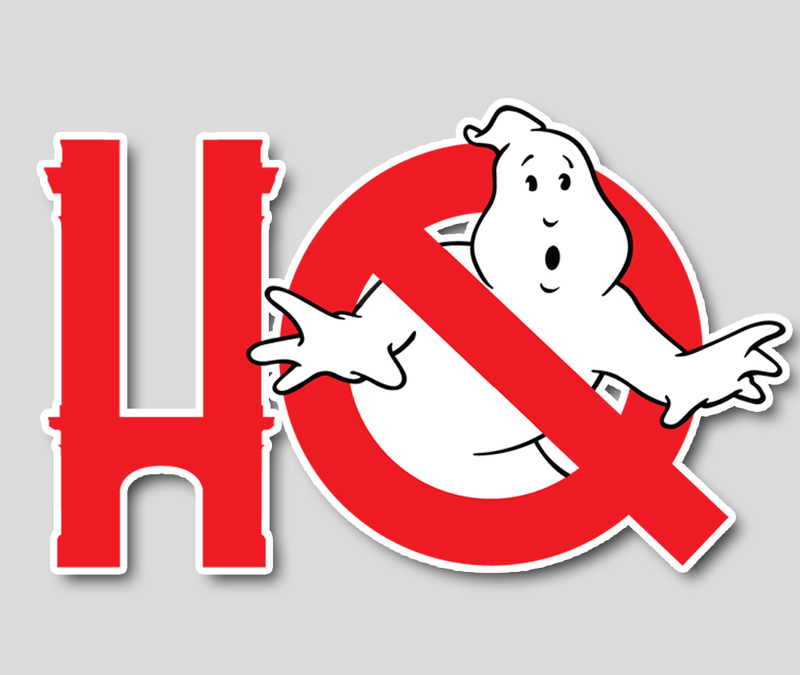 CULVER CITY, Calif. (April, 4 2016) -- Fans will now be able to experience particle beams and ectoplasm like never before when Ghostbusters and Ghostbusters II debut June 7 on next generation 4K Ultra HD disc with High Dynamic Range (HDR) from Sony Pictures Home Entertainment (SPHE). Perfect for Father’s Day gifting, each 4K Ultra HD release will also include the recent anniversary Blu-rays, bursting with all the bonus materials, including previously released legacy content, commentary and the interactive Slimer Mode. As two of the first Sony 4K Ultra HD disc releases, both films were fully restored from the 35mm original camera negatives, thereby utilizing in 4K the full resolution, detail and color depth inherent in the film. 4K Ultra HD is the perfect way to finally experience these comprehensive restorations at full 4K resolution in the home – it features four times the resolution of high definition, along with High Dynamic Range (HDR), which produces brilliant highlights, vibrant colors and greater contrast on compatible displays. Additionally, both films have been remixed specifically for the home theater environment with Dolby Atmos® audio, delivering captivating sound that places and moves audio anywhere in the room, including overhead. 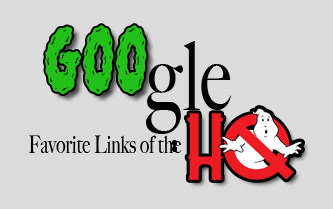 These new 4K Ultra HD releases precede the July 15 U.S. premiere of Sony Pictures’ highly anticipated new motion picture, Ghostbusters, from director Paul Feig, starring Melissa McCarthy, Kristen Wiig, Kate McKinnon, Leslie Jones, and Chris Hemsworth. Also, as part of the excitement surrounding the arrival of the new film, SPHE will release over 50 episodes of the iconic 1980s animated series, The Real Ghostbusters, on DVD July 7 and on Digital, from Ivan Reitman, DiC and Sony Pictures Television. Both Ghostbusters and Ghostbusters II are directed and produced by Ivan Reitman (Meatballs, Stripes), and written by Dan Aykroyd (My Girl) and Harold Ramis (Knocked Up). Bill Murray (St. Vincent), Dan Aykroyd (Blues Brothers), and Sigourney Weaver (Aliens) star, along with Harold Ramis (Groundhog Day) and Rick Moranis (Honey I Shrunk the Kids). Ernie Hudson (TV’s “Oz”) and Annie Potts (TV’s “Designing Women”) also star. Ghostbusters is ranked No. 28 on the AFI’s List of America’s Funniest Movies. Ghostbusters: University parapsychologists Dr. Peter Venkman (Murray), Dr. Raymond Stanz (Aykroyd) and Dr. Egon Spengler (Ramis) lose a research grant when their experiment methodology is proven to be bogus. The team decides to go into business for themselves and open ‘Ghostbusters,’ a ghost removal service. After struggling to get on their feet, they are summoned to investigate the strange happenings in Dana Barrett’s (Weaver) Central Park West apartment. What they discover is that all Manhattan is being besieged by ghosts and other-worldly demons through a portal in her building. Ghostbusters II: Supernatural superstars Peter Venkman (Murray), Dr. Raymond Stanz (Aykroyd) and Dr. Egon Spengler (Ramis) spring back into action when the infant son of Dana Barrett (Weaver) becomes the target of a powerful demonic force. Reunited with their industrious secretary Janine (Potts) and the nerdy, near-sighted Louis (Moranis), the ‘heroes of the hereafter’ must put a stop to an enormous underground river ready to rot the roots of the entire Big Apple. *To experience Dolby Atmos at home, a Dolby Atmos enabled AV receiver and additional speakers are required, or a Dolby Atmos enabled sound bar; however, Dolby Atmos soundtracks are also fully backward compatible with traditional audio configurations and legacy home entertainment equipment. • Ghostbusters Music Video – Ray Parker, Jr.